Radical changes are being made within the product design world. 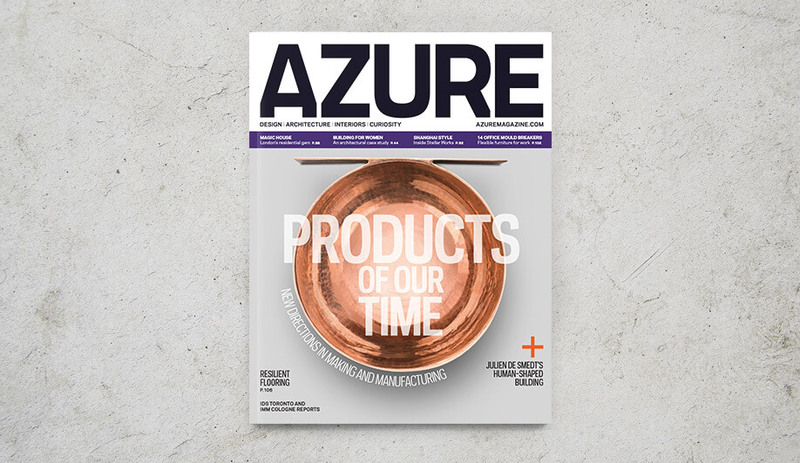 Our May issue spotlights 10 makers and manufacturers who are leading the revolution. Plus, Alberto Meda’s son Francesco carves his own path, what we saw and loved at Toronto Design Week and IMM Cologne, and more. Enter the 2017 AZ AWARDS, our seventh annual international competition that celebrates the best work in architecture and design produced before December 31, 2016. 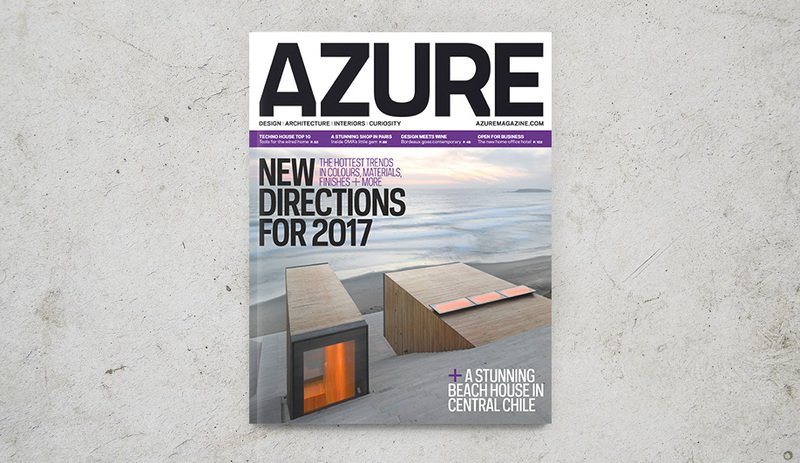 The November/December 2016 issue of Azure spotlights spectacular interiors from around the world, from a robotic beauty counter in St. Petersburg to an Amsterdam café inspired by the tropical climate of Marrakesh. Plus, the best industrial design schools in North America and 20 holiday gift ideas for design lovers. 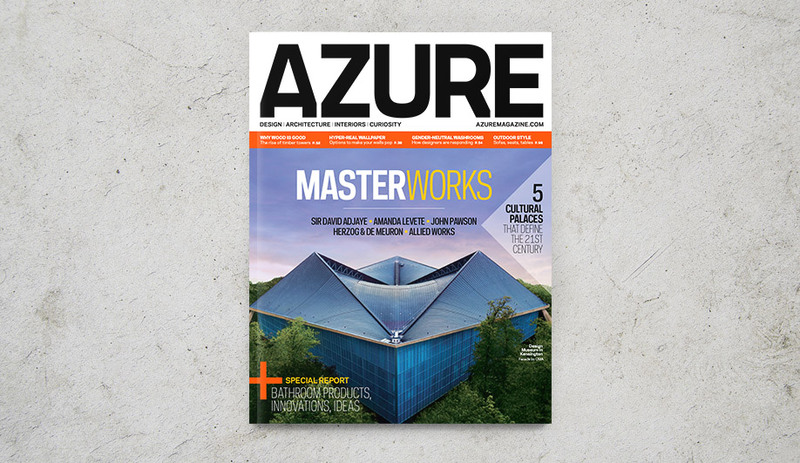 In Azure’s annual October trends issue, we reveal the spectacular materials, patterns and more that will be defining the coming year. 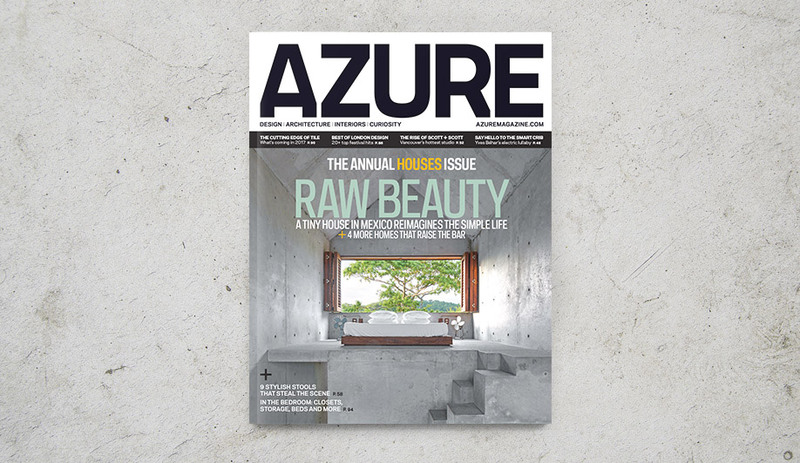 We also explore Diller Scofidio + Renfro’s vertically skewed medical centre in New York, and travel to central Chile’s coastline, where a concrete house responds to its landscape in dramatic fashion. 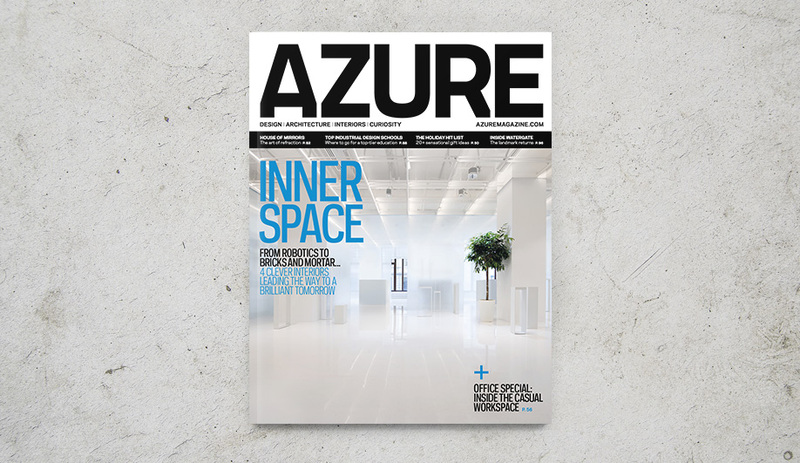 The AZ Awards jury and Azure readers gave these interior and architectural products – including bright blue funerary urns – top marks. These four projects, winners of 2016 AZ Awards of Merit, demonstrate the power of architecture to affect meaningful change in communities. Why MAD Architect’s swooping Harbin Opera House, plus five other stunning projects, took home Awards of Merit in the 2016 AZ Awards.